We design and build web stores on Shopify, the world’s leading ecommerce platform for small and medium businesses. Our goal is to create a site that is beautiful, engaging, easy to use and supports your strategic goals. Whether you’re a startup launching a product, an established company looking to enter a new market or an organization struggling to find ways to grow online sales profitably, we help you figure out how to adapt your business model to the world of ecommerce, build an audience for your brand and, ultimately, find new customers. Our approach with web design is different. We start by working with you to develop an online sales strategy, understanding who your customers ought to be and how to attract them, and then build around that strategy. Beyond just designing a compelling website, what we want to build is a sales platform that will support an ambitious ecommerce strategy. We offer affordable project rates for small companies looking to maximize their budget. We can quickly and efficiently build a web store using Shopify’s templates and will help you choose the apps that best match your business needs and ecommerce strategy. For larger companies with an online sales track record looking to migrate to Shopify and upgrade their ecommerce platform, we can offer several customization options, including developing a custom theme, styling third party apps, tailor-made data fields and custom integration with other systems. We leverage all the power of the Shopify platform while creating a site that’s perfectly suited to your needs. If you’re looking to engage a partner that can help you develop strategy and then stick with you through implementation, learning and calibration, we offer convenience, accountability and a commitment to long-term relationships. We offer support in defining an ecommerce strategy during the planning stage (before the site is built) as well as during the operations stage (after site is launched). Our goal is to help our clients make wise strategic decisions that will inform the way a site is built and also to give them an actionable plan to execute against so they may reach their sales goals. In addition, we offer a complimentary strategy review 6 months after the site is launched to track progress against the strategic plan and problem-solve any barriers to growth. 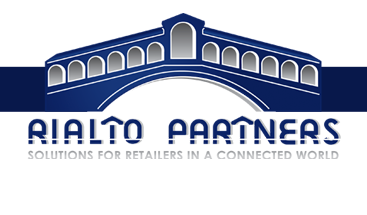 Our goal at Rialto Partners is to become your trusted partner for ecommerce and digital marketing. We offer a wide range of creative services to help you close the execution gap, including: product photography, email marketing, digital design, online advertising management and social media campaign execution. We can work closely with your existing team to help fill, or as needed you can also outsource select services to us. We will adhere closely to your brand standards in all the creative work we do and make sure it fits into the larger strategy we are deploying. We understand that small companies launching an ecommerce operation are looking for more than just help designing and developing a website, they also need support in formulating a successful strategy for online sales. We have worked with numerous startups helping them shape their strategy and have also worked with larger players ($5M+) looking for ways to reach the next level of growth. So we have a good idea of what works and doesn’t work and how crucial it is to lay the right foundation for growth from the very beginning. For a free estimate, please email us and tell us about your project.